Specifications are based on published information at the time of publication.Specifications are subject to change without notice. Prices are subject to change without notice. Prices are in dollars and only applicable to products sold in the United States.In all cases, current published price lists and incentive program bulletins will take precedence.All trademarked terms, including John Deere, the leaping deer symbol and the colors green and yellow used herein are the property of Deere & Company,unless otherwise noted. 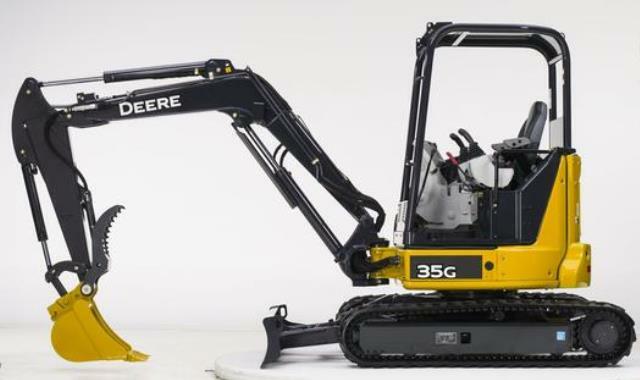 * Please call us for any questions on our mini excavator 35g or d john deere rentals in the Kansas City Metro area, Eastern Kansas, and Western Missouri.